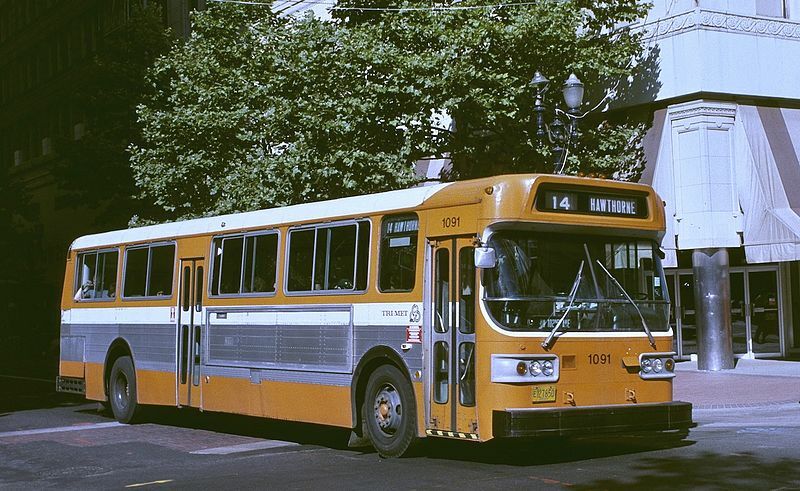 In 1967, I was going to fraternity house dances, keggers and football games (watching the OSU Giant Killers) – enjoying life at Oregon State University. 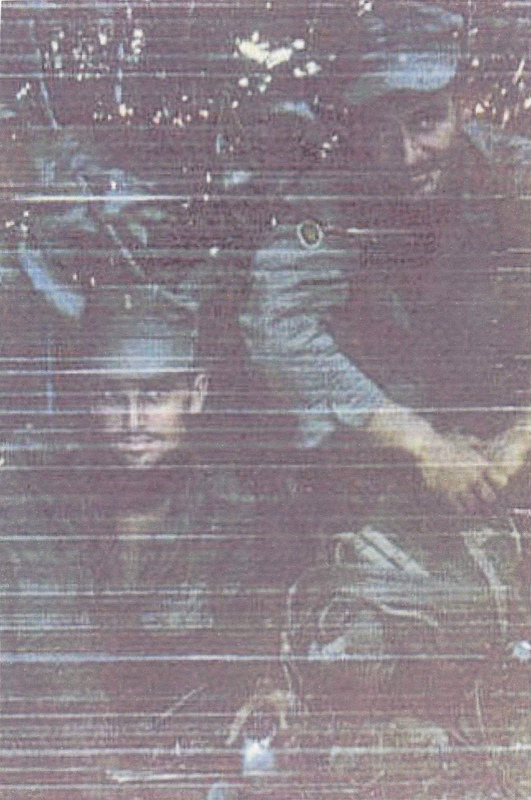 Most Americans were preoccupied with their own pursuits, while 8,000 miles away in SE Asia, our fellow citizens were serving in the Viet Nam War. 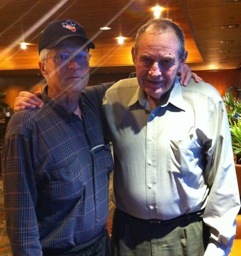 Jud Blakely and Doug Bomarito both served as combat officers in Viet Nam. 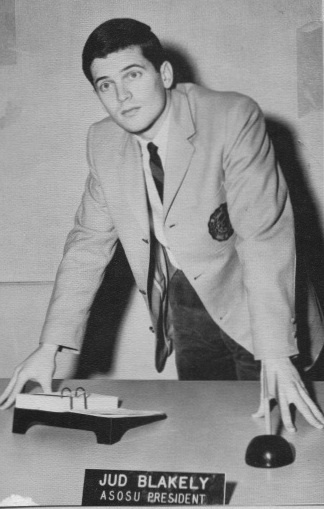 Jud graduated from OSU in 1965, where he was a member of the SAE fraternity and served as OSU Student Body President. 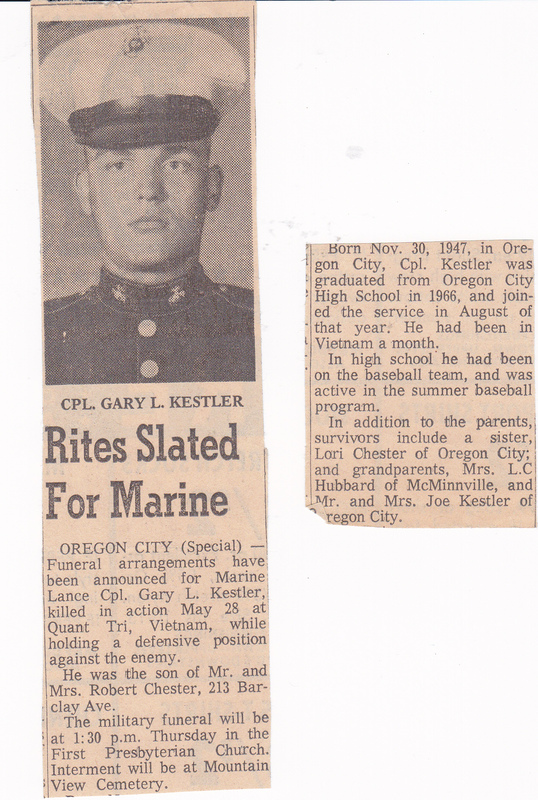 He was then commissioned in the US Marine Corps. Doug was a 1968 Annapolis (US Naval Academy) graduate where he played first base and had the highest batting average on the Academy baseball team. 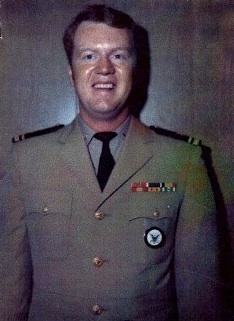 Doug as a Navy Ensign, initially served on a destroyer, but in 1969 volunteered for Patrol Boats River (PBR), which patrolled in the hostile rivers and canals. He served as a patrol officer for a number of PBRs attached to a River Division near the Cambodian border by the Gulf of Thailand. 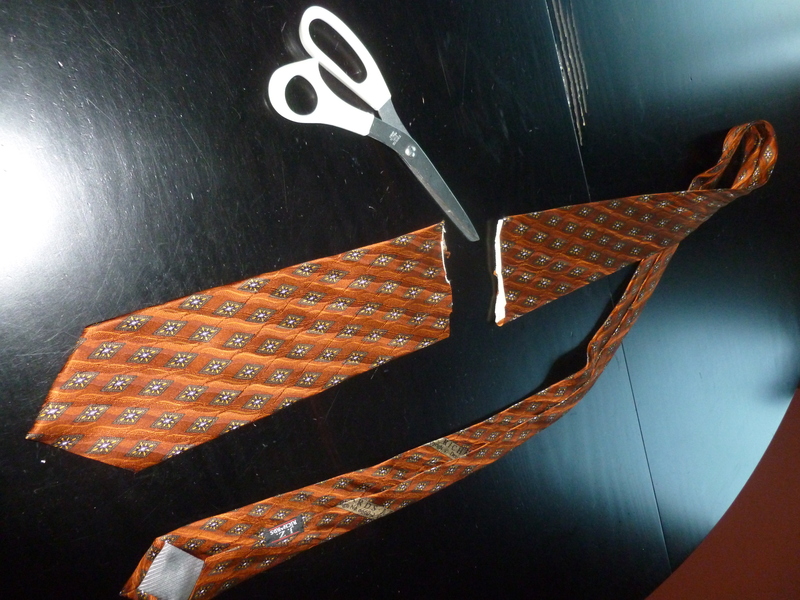 It was, to say the least, hazardous duty. February 23, 1970, on his 75th combat mission, the boat on which he was directing tactics and another for which he had responsibility, were ambushed by the North Vietnamese. During a severe fire-fight, Doug and two of the crew were wounded and eventually med-evaced to hospitals, but not before Doug completed his mission. 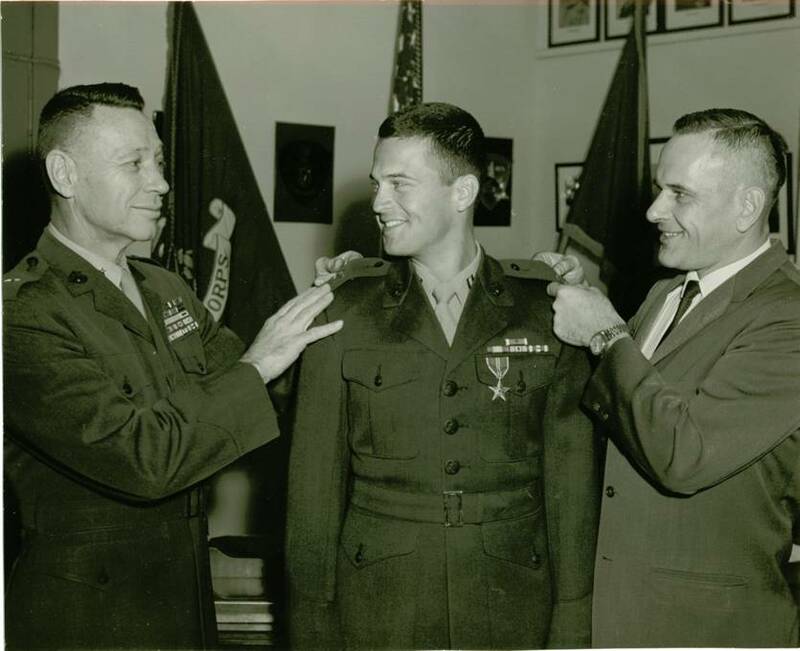 He received the Purple Heart and the Bronze Star with Combat V (The “V” insignia is added to the medal when it is earned for extraordinary heroism or valor in combat situations. – see the end of this post for the specifics on his Bronze Star.) Doug later served as a Navy Officer Recruiting Officer (OIC) for the Northwest and after leaving the service, went to Lewis and Clark Law School and passed the Oregon State Bar exam. 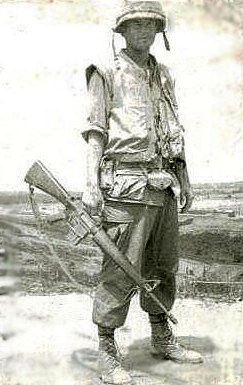 He spent 3 months in the Chu Lai area, along the Demilitarized Zone (DMZ) for 2 months, south of Da Nang for 2 months and then in Duc Pho for 3 months and back south of Da Nang for 3 months. His purple hearts were for a punji-stake puncture in his knee and shrapnel wounds in his forehead from a midnight mortar attack during the monsoons on the southern edge of the DMZ. They both went on to successful careers and have wonderful families. Jud and his wife, Deborah, live in Boise. 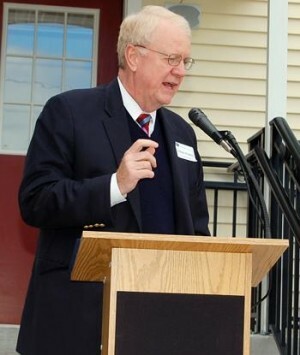 Doug still practices law in Portland He has been active in numerous civic affairs including serving on the boards of CYO Camp Howard and the Girl Scouts and was the driving force in the development and siting of the VNVO Living Memorial. Jud formed his own consulting company, Jud Blakely Ltd., and wrote speeches for CEOs and top executives of companies and coached them on how to speak. His clients included Shell Oil, Sea First, Rainier Bank and Lonestar Gas. He has written two screen plays and designed the new website for the VNVO Living Memorial, which is very close to completion. Jud has done all of the writing that appears on the Memorial site. 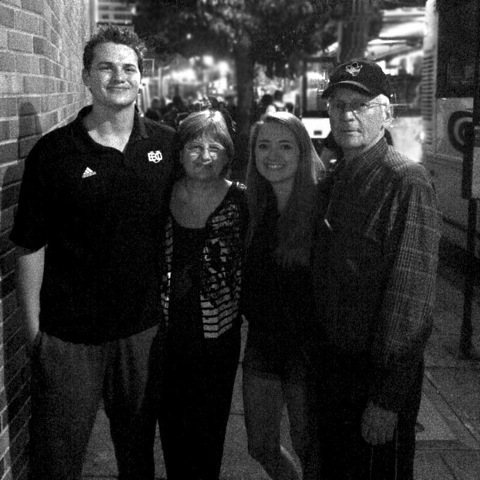 The three of us attended the recent Portland State vs. Eastern Oregon College football game in JeldWen Stadium to see Jud’s son, Paul, who is a punter for the EOC football team and was voted 2nd Team All-Conference as a freshman last season. It was then that I realized that in reviewing events from our forty-five year friendship and what I knew about him that Jud deserved special recognition as Thebeerchaser-of-the-Quarter. When I finish, I’m going to read “The General Theory of Money” by John Maynard Keynes. 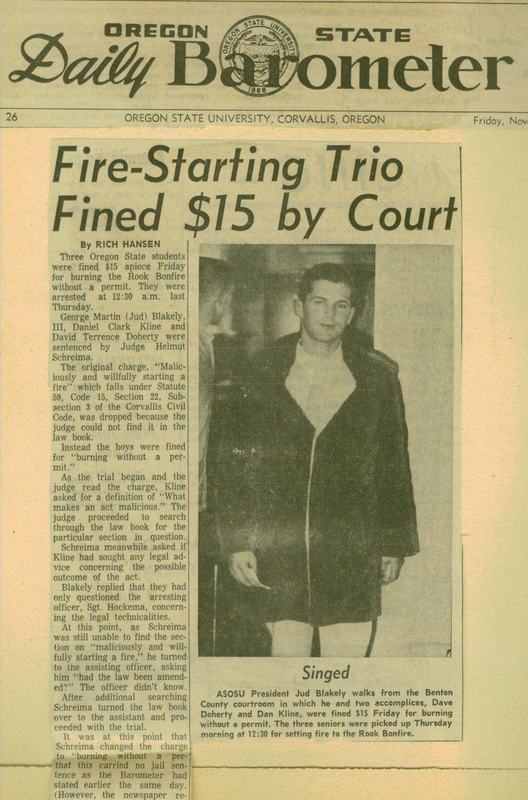 Fortunately, the Municipal Judge, one Helmut Schreima, could not find that specific provision in the Corvallis Municipal Code and our boys were only charged with “burning without a permit” and fined $15 each (Jud’s beer money for the month….) so he could serve in the Marine Corps, but he had to forfeit his student body office. A column from the OSU Daily Barometer (written by Baro Editor, Rich Hansen) expresses sentiments about his leadership talent and his ability to arouse (?) students: “….Seldom has the office of President been so alive in campus conversations or has the President’s name been so often repeated. I’m convinced that it has been a long time since OSU has had a president so well suited for the office as Jud Blakely. Blakely is not only an intellectual and dynamic leader but retains those school-boy qualities that make him a human being – the zeal for school spirit and his subsequent bout with municipal authorities (bonfire incident) is a recent example. He drew enormous criticism and even more teasing for that stunt, but in the end it achieved its goal. It revived spirit and got students participating again. 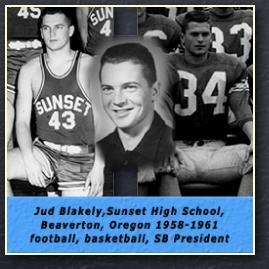 As an aside, Jud was a three-sport athlete at Portland’s Sunset High and also played freshman baseball at OSU. 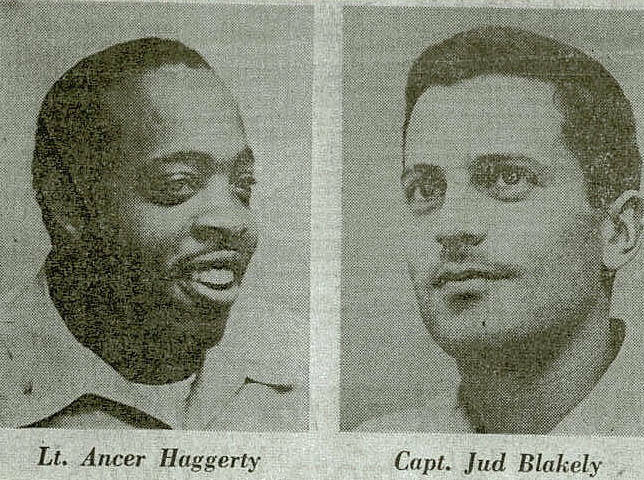 Marine Corps Recruiting Officer – 1970 – A prior Beerchaser post (June 2012) briefly highlighted the ruckus caused on the Portland State College campus, when Jud and USMC Silver Star recipient and now Federal Judge, Ancer Haggerty, were the Marine officer recruiting officers and actively engaged Portland State students in debate about the War. During this time, he met Major Nelson Olf, who was commissioned in the USMC after graduating from the OSU NROTC program. He was the CO of the USMC Reserve Unit at Swan Island when Jud arrived in Portland. After retiring from the Corps, Nelson managed a business out of Forest Grove and was a professor of business both at PSU and Pacific University. He has contributed substantial sums to a variety of institutions and causes he supports – for instance, he has fully endowed an engineering scholarship at Oregon State. The Navy ROTC obstacle course at OSU is named after him in recognition of his significant gift. Poetry in motion – so to speak…. The need for folks to save their feet..
Basketball Exploits – Jud and I used to play each week at Catlin Gabel School with a bunch of Nike execs. I would taunt him by reminding him that his name spelled backward is “Duj” and kid him that he lost his quick first step because of the war wound to his leg. One time we were trying to dunk the ball at a basketball hoop on the wall at Collins View Grade School (now Riverdale High School) while partaking of our favorite beverage. 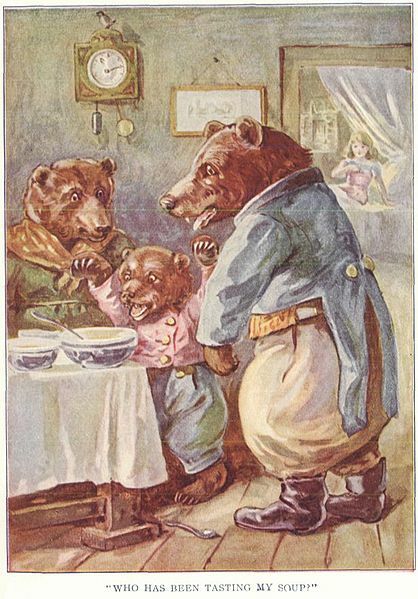 Gulf Coast Humanities Consortium (GCHC) – Because he could not gain membership to the Tri-Lateral Commission, when he was huddled in the hurricane shelter under his house in Mobile, Alabama, Jud formed the GCHC with three colleagues in the 1990’s. Who’s Been Drinking My Budweiser???? Other Exploits of Note (or not…. ): Jud and I co-presented at an American Society of Association Executive’s National Conference in Chicago when I worked at the Oregon State Bar in the late ’70’s. 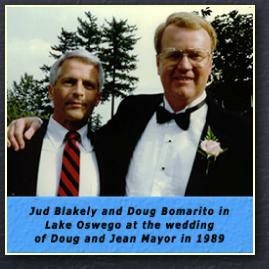 Jud was an accomplished speaker but it was my first gig and I was very nervous. Knot your typical public speaker…..
58,286 U.S. Armed Forces personnel were killed during the twenty years of the Viet Nam conflict (including those missing in action) which ended in 1975. Approximately 2.6 million Americans served. 153,303 were wounded in action. “803 Oregonians fell during the war in Vietnam from 1959-76…but so long as they are not forgotten, they do not die…and here, we honor the Fallen by remembering them. 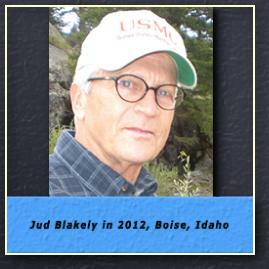 Jud Blakely’s idealism and optimism were tested during his thirteen months in the field in Viet Nam. 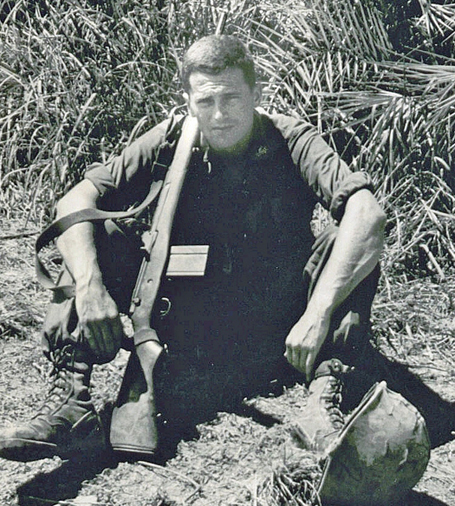 As he wrote regarding his platoon’s experience in Duc Phổ, in the South Central Coast region of Vietnam: “We fought and fought and never lost…and yet we didn’t win.” It seems that Jud’s narrative eloquently portrays the tragedy of Viet Nam for us as a nation. For meritorious service in connection with operations against insurgent communist forces in the Republic of Viet Nam from 4 July 1966 to 1 August 1967. Through this period 1st Lt. Blakely performed his demanding duties in an exemplary manner while participating in several major combat operations……He displayed exceptional leadership and professional ability in leading his unit against the enemy. Although painfully wounded on two occasions, he steadfastly remained with his men and, despite his injuries, directed his platoon with skill and determination, inflicting heavy losses on the enemy. During Operation Desoto, he assumed command of a beleaguered Marine platoon which came under intense enemy fire and sustained several casualties, including the platoon commander. Disregarding his own safety, he repeatedly exposed himself to the heavy volume of fire to lead the unit against the enemy. Through his heroic and timely actions in the face of great personal danger, 1st Lt. Blakely inspired his men and provided command continuity at a critical moment. “For heroic achievement while serving with friendly foreign forces engaged in armed conflict against the North Vietnamese and Viet Cong…on 23 February 1970. 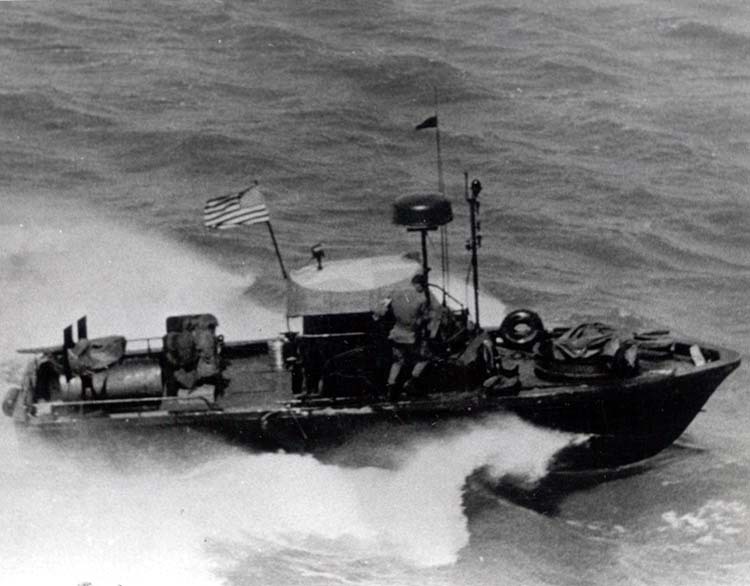 Lt. (jg) Bomarito was in charge of a two boat patrol proceeding north on the Giang Thanh River. As the patrol was rounding a bend in the river, it suddenly came under heavy enemy rocket and automatic weapons fire. During the ensuing engagement, his boat received one direct rocket hit which wounded him and his crew and started a blazing fire. Jud recently had triple by-pass surgery and is undergoing physical therapy – I’m sure with the same discipline and intensity that has characterized his life since high school and led to the achievements which make him a slam dunk for Beerchaser-of-the-Quarter. So rather than affirming the sign from Corvallis – “Ban Blakely” – let’s hoist a mug of PBR – since they don’t brew Blitz and longer – and yell, “We want Blakely” and make a toast to all Viet Nam Veterans.